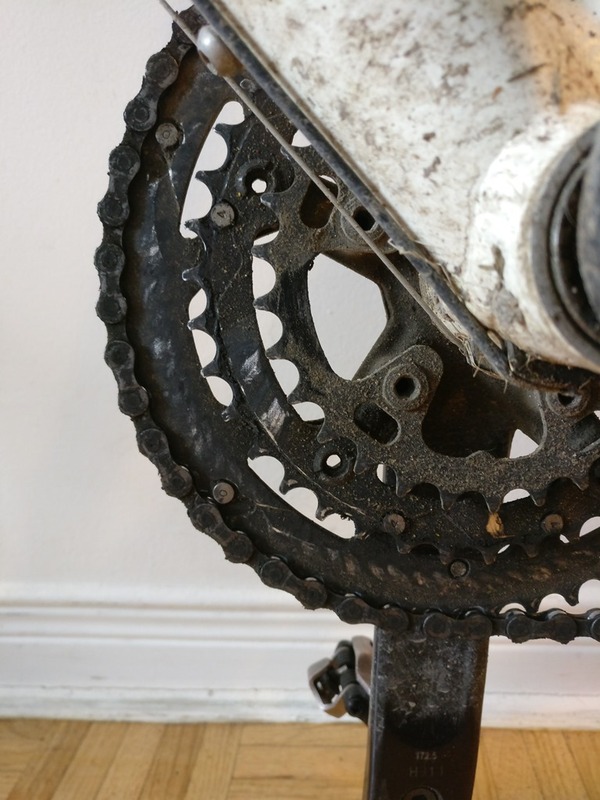 Do my large and small chainrings need replacing? My drivetrain has 10,000km on it at the moment and the chain and cassette are more than due for replacement. The middle chainring looks badly worn to me and I'm going to replace it as well. I'm wondering if I should replace the large and/or small chainrings as well, particularly the large which is more expensive than the other two combined. 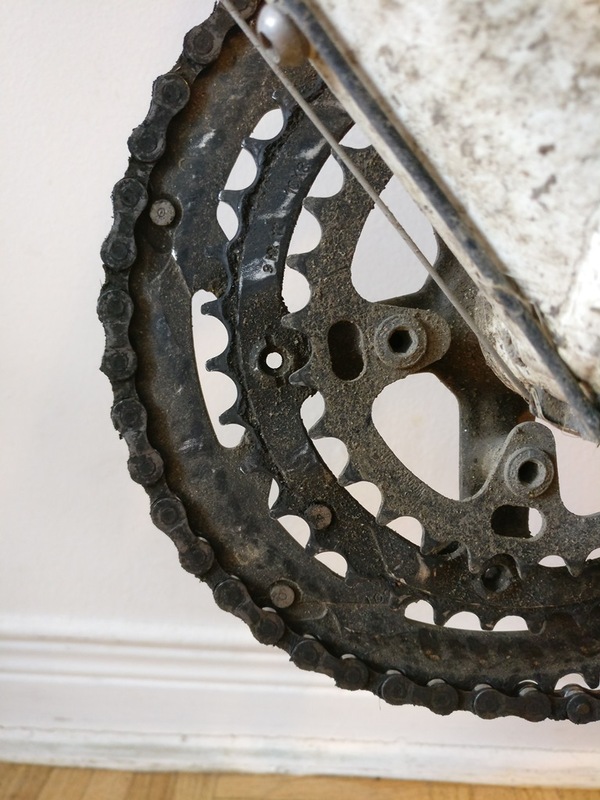 The photos below should show the wear on all three chainrings. I'm hoping someone can offer advice on the large/small chainrings based on the photos. If it helps, of the 10,000km on these chainrings, I would estimate less than 500km of that is on the smallest ring, and probably less than 2,000km on the largest ring. I'm mostly a middle-ring rider. No, replacing the middle is pretty reasonable at this point but the others are okay. Little rings in particular you very seldom see someone actually wear out. 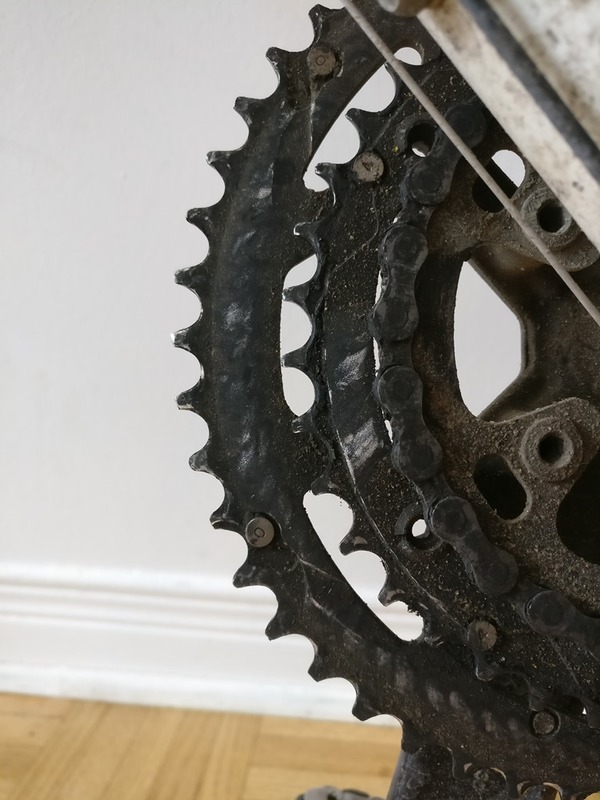 Can a greasy chain cause the chain to come off the rings? 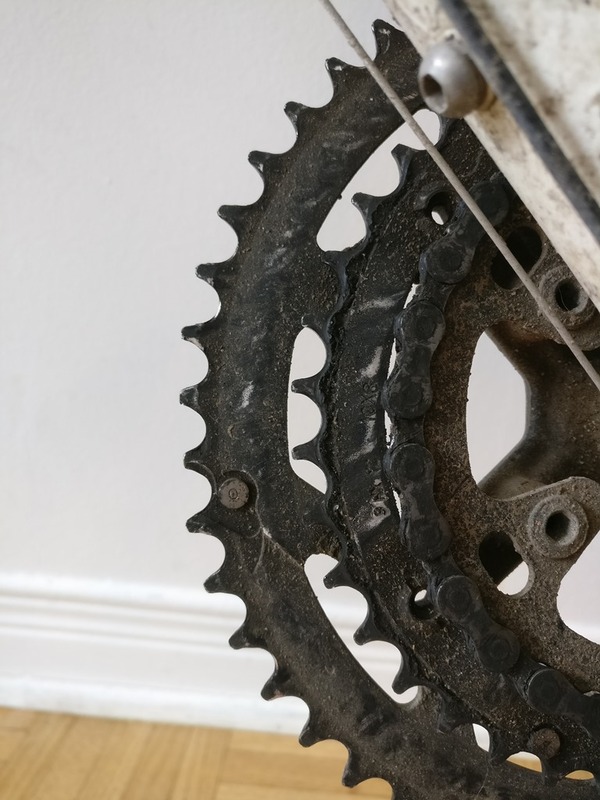 What physically makes chainrings have a specific speed compatibility? Hybrid bike - would like to switch to a single front chainring, what are my options? How long can I safely use a chain for?